Lenny Kravitz spends most of his time as a Bottom Feeder and Kristine W. crosses over the dance charts this week. Another week starting off with country music, however at least the Kinleys weren’t completely dull. “Please” doesn’t do anything for me but I kind of like “Somebody’s Out There Watching” which was featured on the soundtrack for the TV show Touched By An Angel. As identical, blonde-hair twins, I really think Heather and Jennifer Kinley would have made a fantastic double date with Matthew and Gunnar Nelson. You know by this point that I have a soft spot for this bootie shakin’ rap in the ‘90s and “Tha Hop” is no exception to this. Whether I’m riding a train, dippin’ or hoppin’ I’m right behind that girl with the thick rear end. “Rise To It” came from their 1989 album Hot in the Shade which was part of the Bruce Kulick – Eric Carr era. It’s actually quite tuneful for Kiss as was the record, with the biggest issue being that it was 15 tracks long of which half could have been easily cut. It still of course is hard to get over the fact that their biggest hit in more than a decade, “Forever, was co-written by Michael Bolton. I can’t tell if I’ve ever heard this song before or not. I don’t think I have for some reason but since it follows the exact pattern of what I would have expected out of the KLF, I might have. Either way, I’ll take Black Box and Haddaway before the KLF any day. The note in the Billboard bible says “rap version of Charlie Daniels’ ‘The Devil Went Down To Georgia.’” No further explanation needed on this one. Apparently 90% of the rap world cite Kool G Rap as a major influence on their career. Maybe it’s because I never listened to his albums but if “Fast Life” was representative of his style then I just don’t understand that. Not only do I think his flow is simply terrible on this track and Nas completely outshines him but those sung parts are horrific. This is a track that is almost unlistenable for me. I guess it’s not really that odd that Alison Krauss hasn’t had much chart success, even on the country chart – since she’s been known mostly as a bluegrass artist throughout her career. “When You Say Nothing At All” hit #3 on the country chart and that’s been her biggest hit to date. She’s been releasing albums since 1985 though, with this tune coming off a 1995 hits collection. I had first heard of her in the mid-‘90s, not from this song but through a folk show down at WTSR in Trenton, NJ called Legacy with Pete Kernast. She’s always had a beautiful voice and even though Bluegrass has never and probably will never be on my radar, I’ve followed what she’s done over the years. And then of course, she made Raising Sand with Robert Plant back in 2007 and that thrust her into a whole new spotlight. However, even the single off her latest album – Paper Airplanes – didn’t chart anywhere. And in fact, this is the only one of her songs to ever hit the Billboard Top 100. 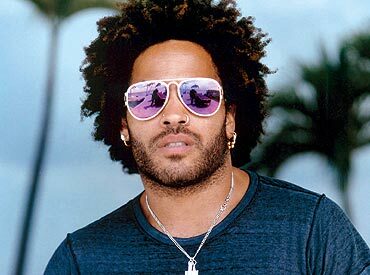 I’ve always been a fan of Lenny Kravitz, or so I think at least. However, while I own each of his nine studio records, I couldn’t tell you a think about four of them (Circus, Lenny, Baptism and It Is Time For A Love Revolution). And maybe that’s the problem. He’s made quite a few memorable songs over the years and his debut (Let Love Rule) is an album that sounds quite dated now but is still really good. But over the course of a few decades his albums have tended to be nothing more than average as a whole. In fact, after the debut, the only one I really want to listen to in full is his latest record (Black and White America) which is funky as hell. Buy that record and his 2000 Greatest Hits disc and you have plenty of Lenny to last you a lifetime. Of the songs here, “Heaven Help” might be the best and one that you don’t hear on the radio anymore. The other song of the double a-side single was “Spinning Around Over You” which is another tune from the Reality Bites soundtrack. Unfortunately, you do hear his cover of “American Woman” on the radio, which actually won him a Grammy. Christ, I barely knew Kris Kross had a second record let alone a third album where they tried to get all gangsta working with Jermaine Dupri and Da Brat on So So Def. Now this isn’t to say that “Jump” and “Warm It Up” didn’t fit in perfectly with the sound of the early ‘90s but one would have thought that releasing the silly “I Missed the Bus” as a single would have worn out the novelty of these kids but no, they still had hits left in them. Although it was inevitable that once they got older and tried going hard, it just wasn’t going to sell. I will say though that I listed to their debut record a ton back in the day but that is something I will never ever ever do again. Surely, there are going to be a few of the regular readers that know all about Kristine W. and clearly much more than I do. But I’m certainly aware of her because her run on the dance charts has been nothing short of amazing really. She’s had 18 singles since 1994 and all but two have went to #1 on the dance charts. No matter how you break it down, that’s no easy feat. To put this in perspective, only Madonna and Janet Jackson have had more dance #1’s. Now of course I can’t stand her voice though many will disagree (and she certainly sings better than me) and I never was a club guy so I haven’t sweated pounds off dancing to her for the last two decades either. She is incredibly gorgeous though. She was Miss Washington 1991 and was in the Miss America pageant in 1992. Anyway you look at it, even if you don’t agree with his outspoken views, KRS-One is without a doubt one of the greatest rappers alive. With Boogie Down Productions he made a minimum of three absolute classic records in Criminal Minded, By All Means Necessary and Ghetto Music: The Blueprint of Hip-Hop. Some people might toss Edutainment in the mix as a necessary rap record as well. While nothing he’s making now is legendary like these albums, he’s still an icon and making fantastic, politically motivated, intelligent hip hop.